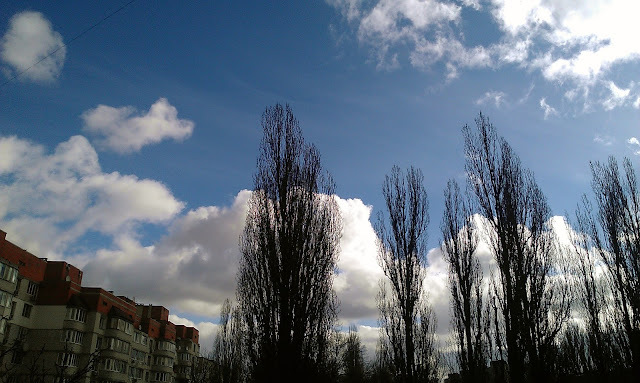 ... blue-blue spring sky. I feel so happy when I see such blue sky and a brightly shining sun. I missed them so much in winter. 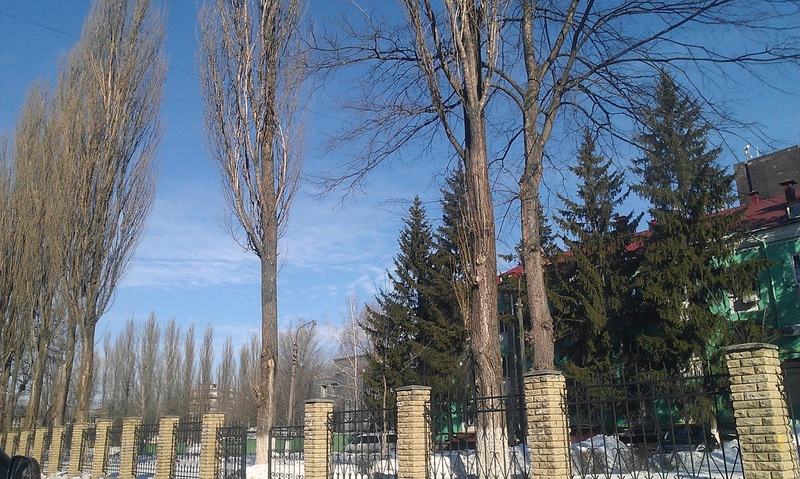 I'm so looking forward for warm spring days and green leaves and grass to appear. ... morning pancakes. I like cooking some pancakes in the morning on weekends in a slow and peaceful weekend atmosphere. And then enjoy eating them with a cup of morning tea or coffee. Just perfect beginning of the day! ... my new kitchen supplies for cake decoration. I was thinking about such tools for a while, but haven't decided to buy till I saw these two. 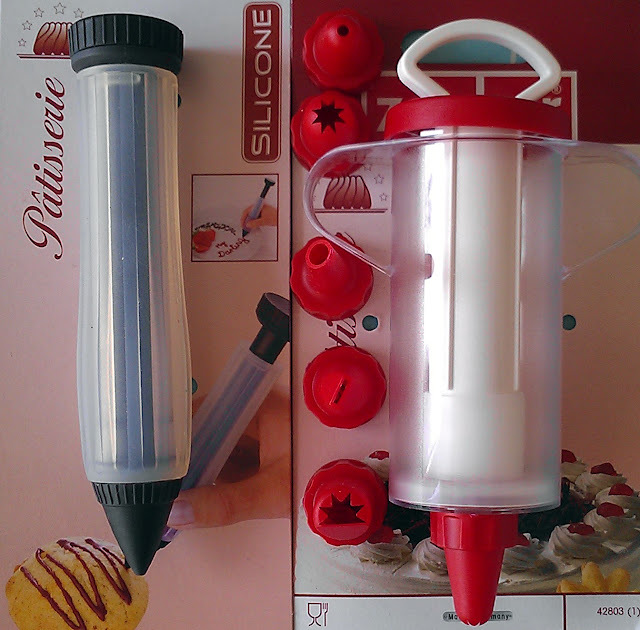 The left one is a decoration pen and on the right side is a cake cream pastry injector. I've found them in a local supermarket, but you can find similar items on amazon, like this decoration pen and this cream injector. I haven't tried them yet, but I'm so excited to do this soon! 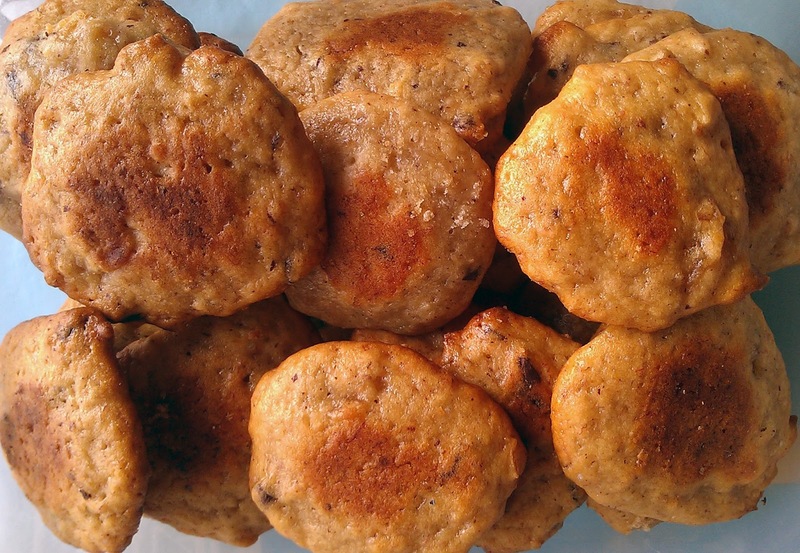 ... banana cookies. In one of the evenings this week I suddenly felt that I need to bake something, but I had only one dark banana in my fridge. I started googling and found this lovely recipe. As it requires about 2-2,5 bananas and I had only one, I decided to substitute second banana with a few tablespoons of apple jam. I also added some chocolate pieces and chopped walnuts. The cookies were delicious with a nice banana smell and taste. I definitely recommend this cookies, especially if you like bananas. Now I'm going to enjoy the second part of my lovely weekends. Don't forget to enjoy yours!